There’s something special about watching a float and waiting for the moment it dips under. Often when mullet fishing you are not only watching a float, but also watching the fish and your bait as it sits just on or below the surface. You cast to a fish you have sighted, and watch as it approaches your bait only to turn away at the last second. Sometimes – if you are lucky – it will take! This visual aspect of mullet fishing provides excitement and a huge sense of satisfaction when the angler lands a fish, but also frustration as the angler will often be left pulling his hair out wondering why the fish he can clearly see won’t take his bait! 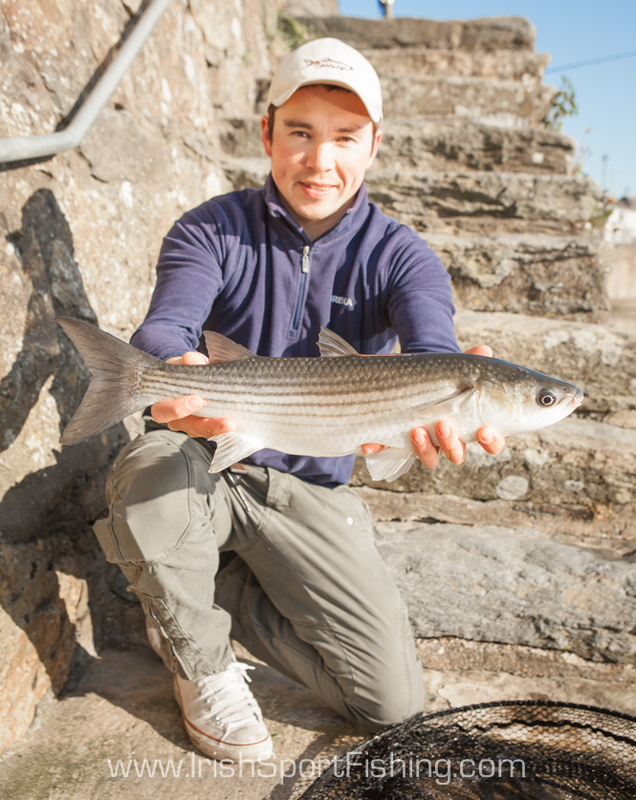 With mullet being often fished for around man-made structures such as harbours, the best time to target them is generally early morning before the noise and activity on the water starts. A quivertip or specimen rod, a small fixed spool reel, a pocket full of terminal tackle, and a loaf of bread is all that’s needed. 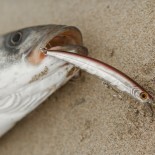 Often the hardest part of mullet fishing is getting them to feed. Prebaiting and regularly loosefeeding should hopefully get them in a taking mood, but there are days you will have to accept that they are just not interested in anything except sunning themselves. 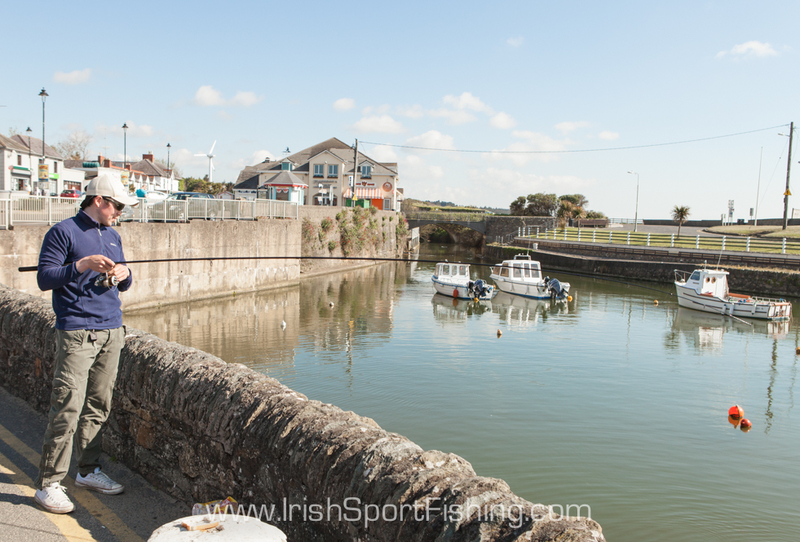 Harbour walls provide an ideal platform for fishing off. These mullet are used to being fed bread, crisps, chips and candy-floss from people passing by! I met Joe at the harbour at 6.30am where he was watching a shoal of around 20 mullet circling the boats. Luckily they were taking some of the loose bits of bread we had thrown in so we quickly setup the gear and got fishing. I had to keep an eye on the bread as Joe would have had it eaten if I turned my back on it! We managed to land a few fish during the morning (If I remember correctly I had one more than Joe!) all around 3 – 4lbs. The harbour came alive later in the morning with people and boats and the fish went off in search of quieter waters. 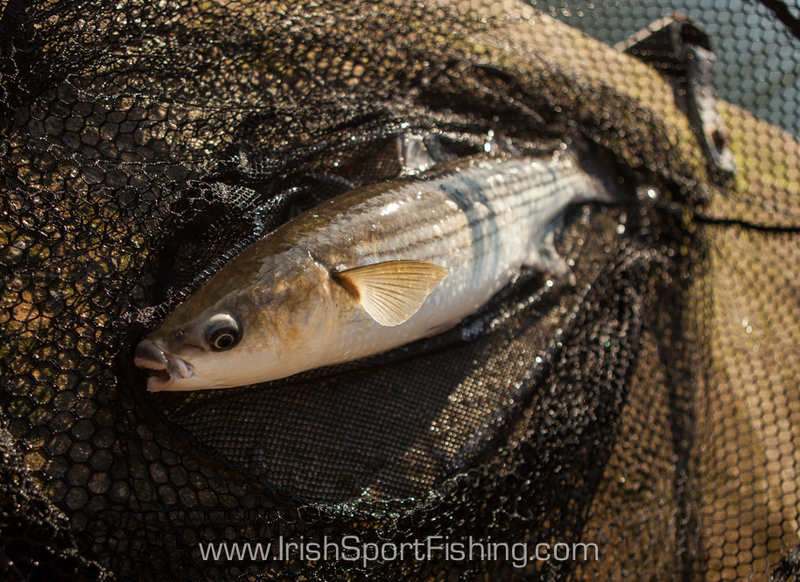 Hopefully the numbers of mullet will increase over the next few weeks, and hopefully some big ones will join them! 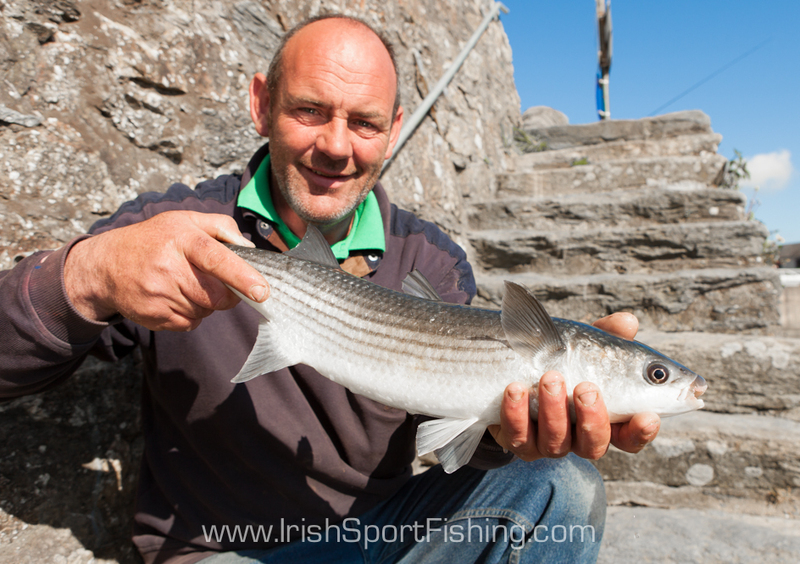 This entry was posted on June 5, 2013 by steve and tagged Irish Sport Fishing, mullet fishing, www.irishsportfishing.com.